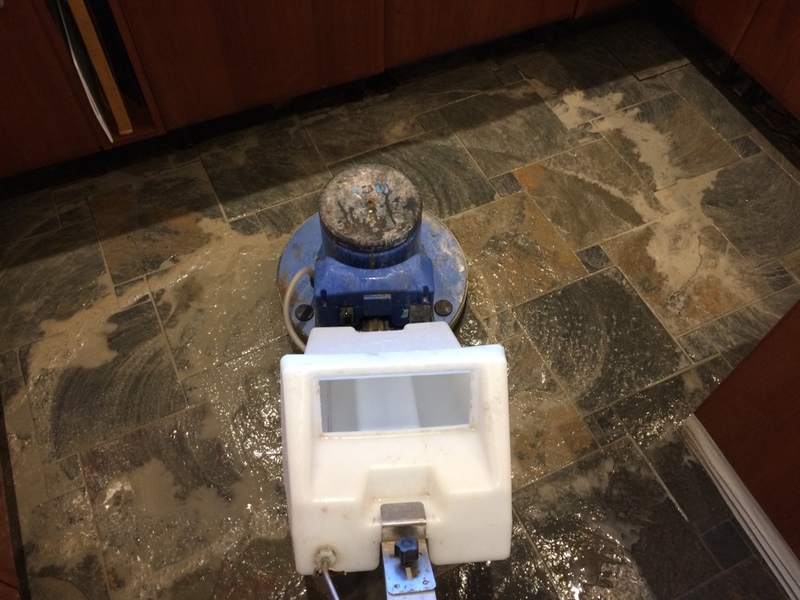 After a short time, I set to work scrubbing the Pro-Clean into the floor with a 400-grit diamond pad fitted to a rotary floor buffer. 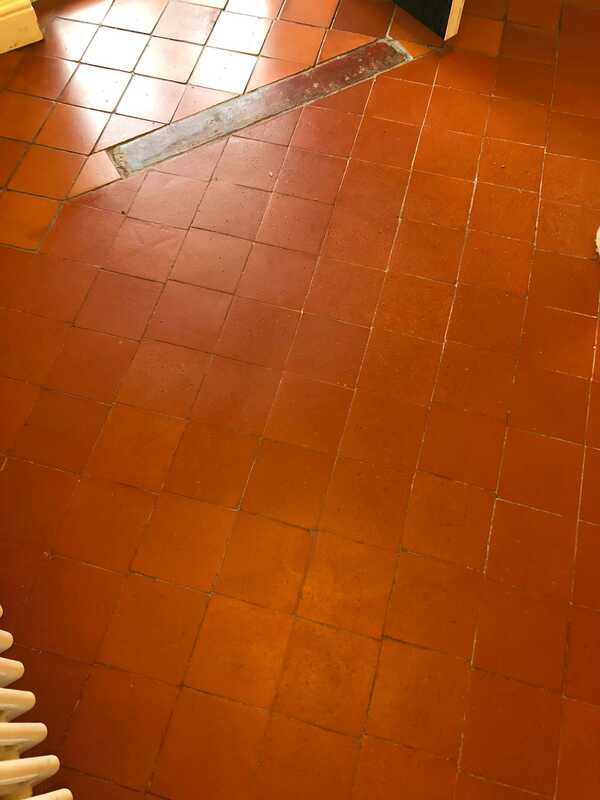 I also used 400-grit hand held burnishing block to cover the corners and any edges not reached by my machine. 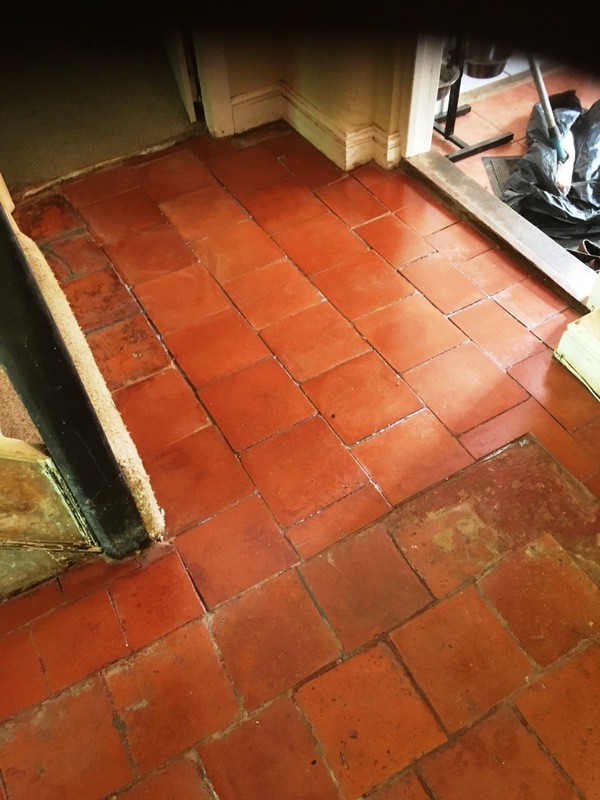 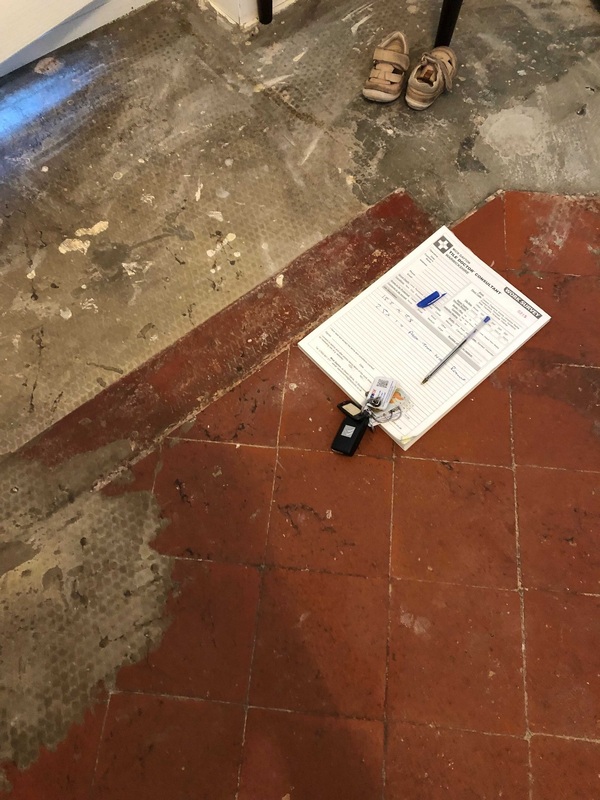 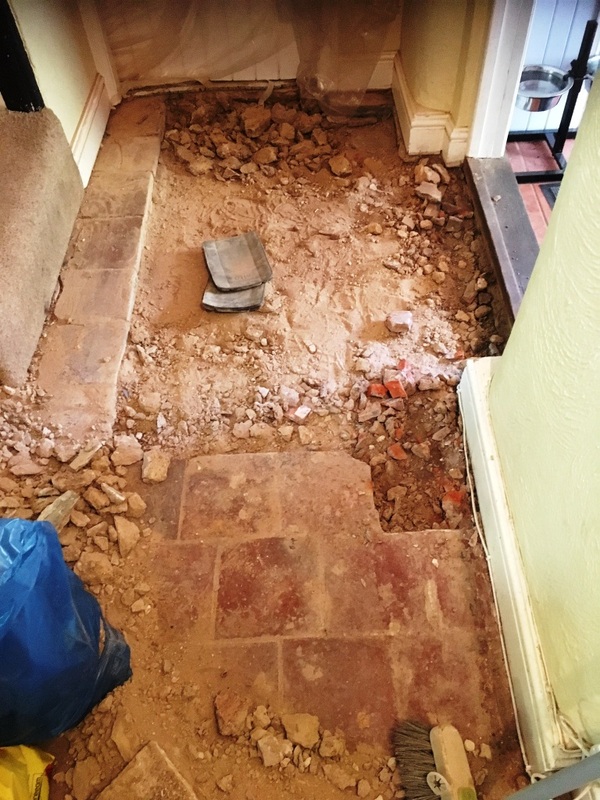 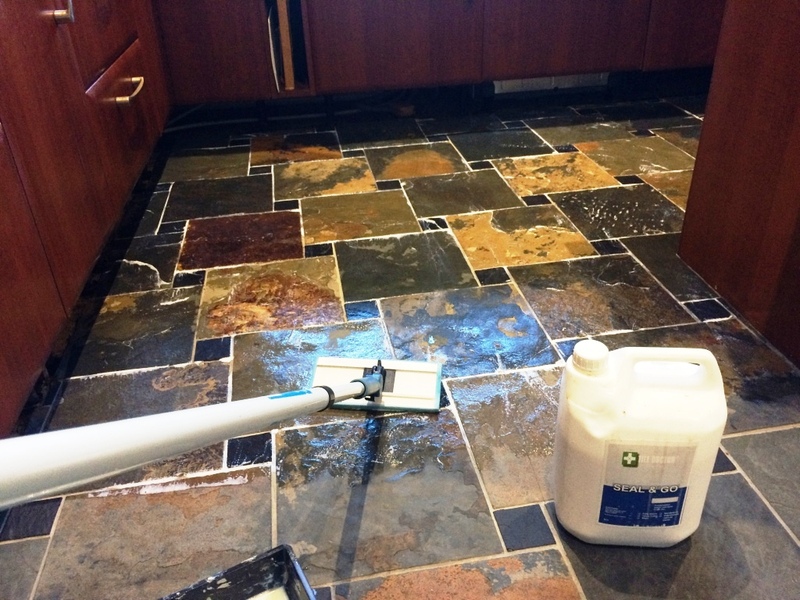 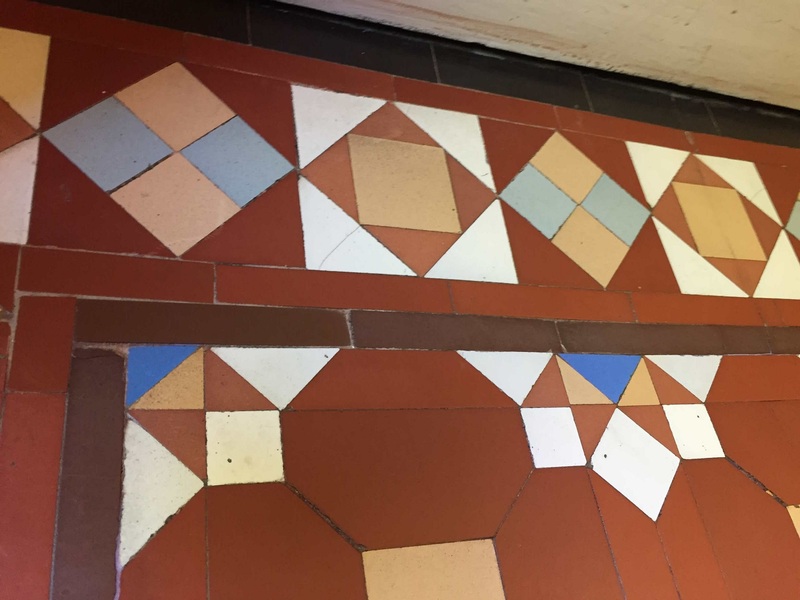 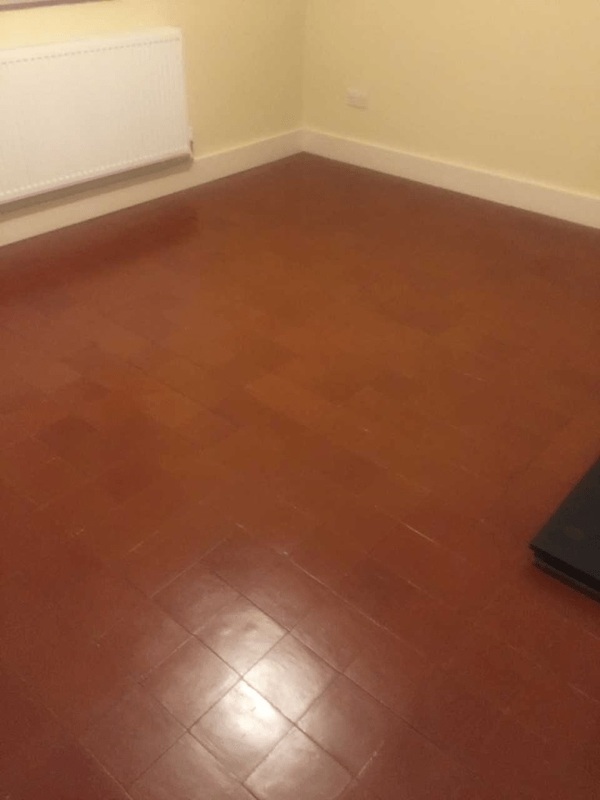 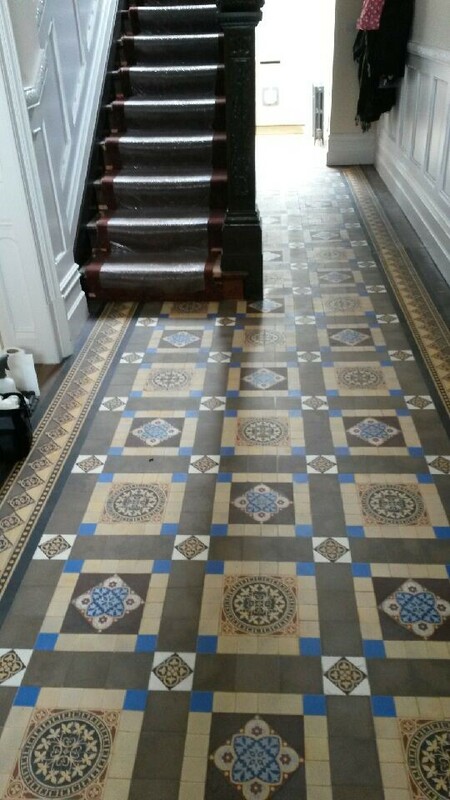 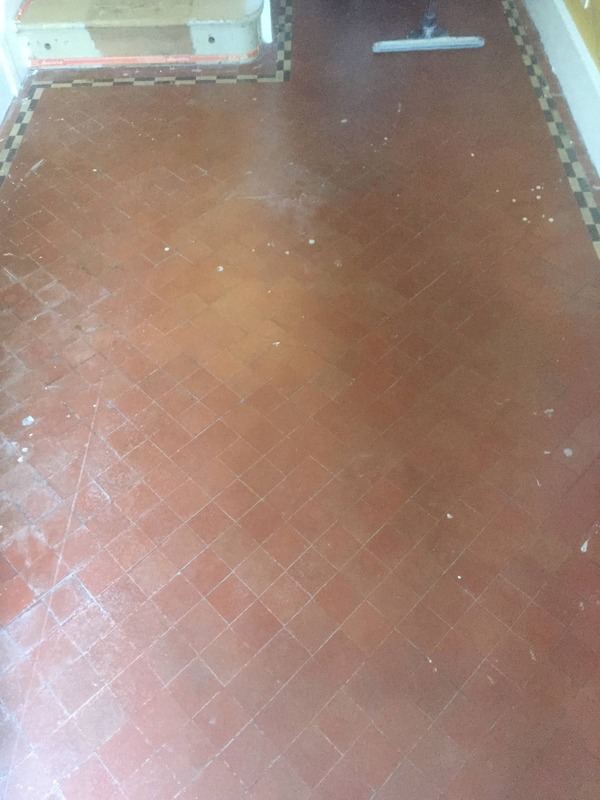 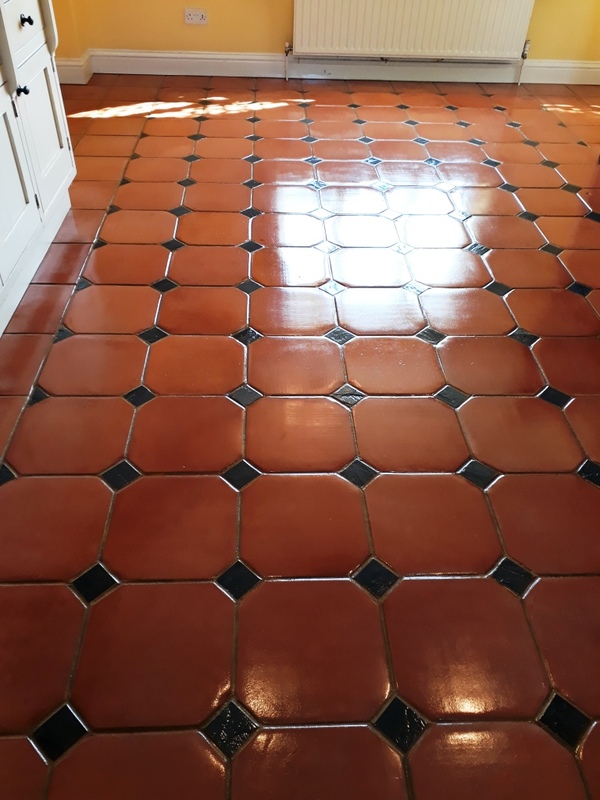 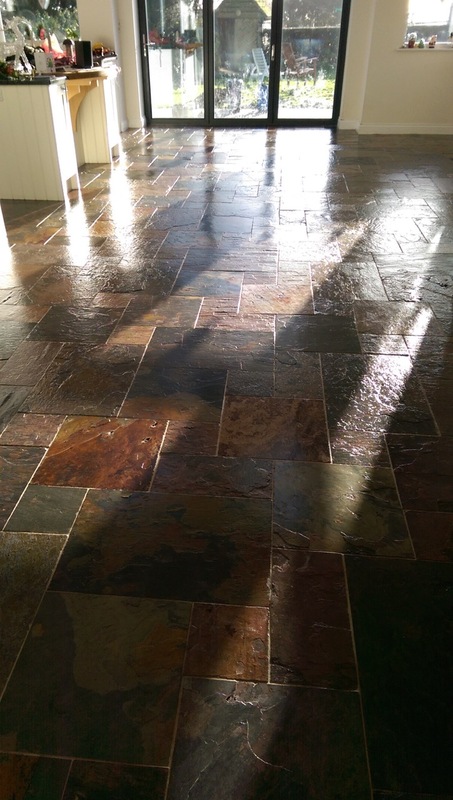 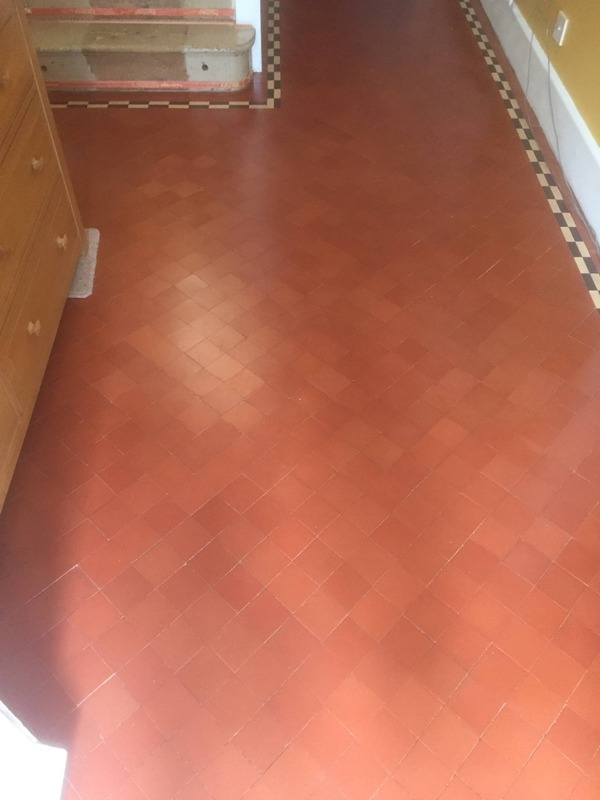 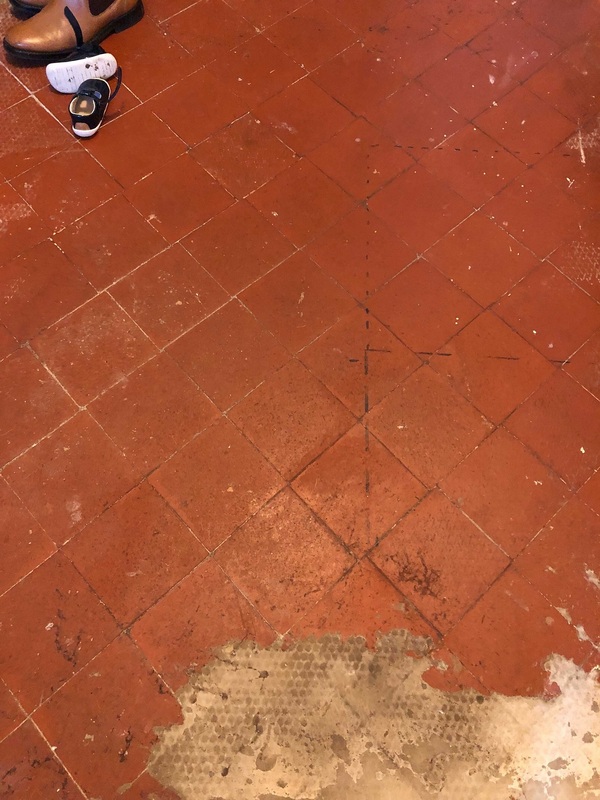 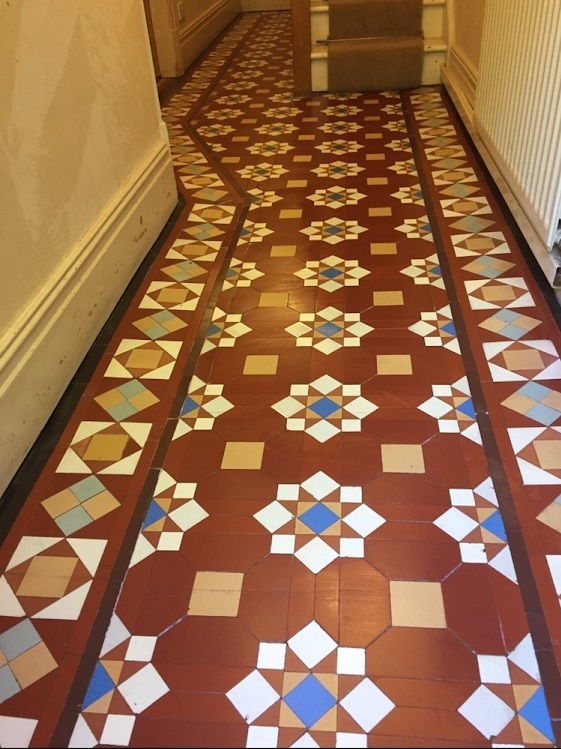 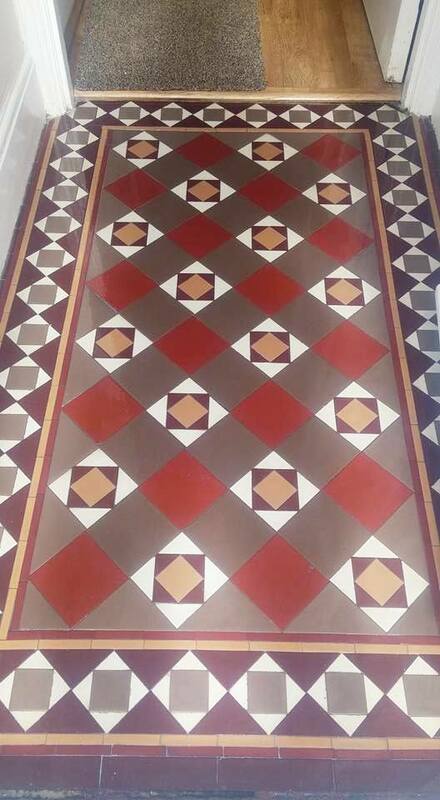 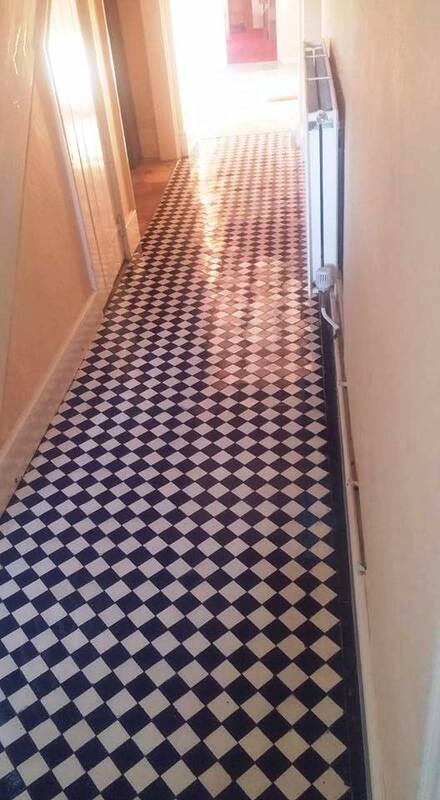 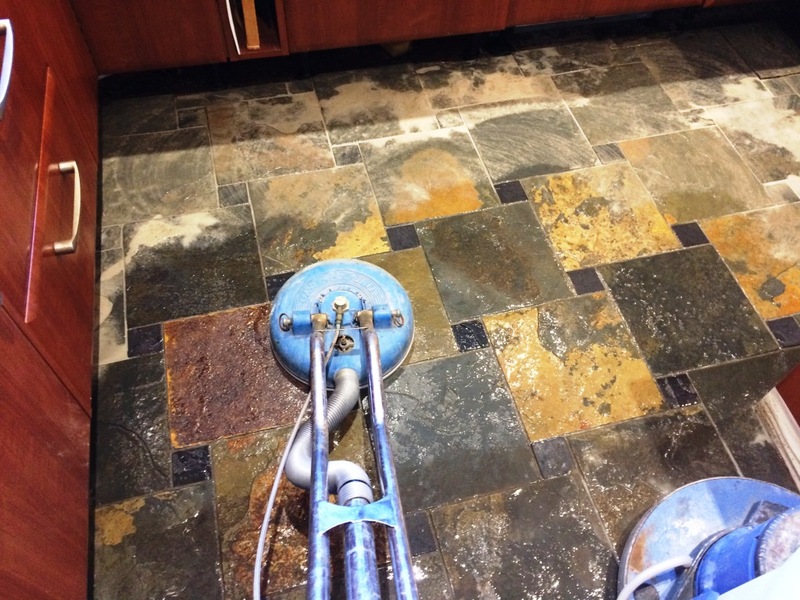 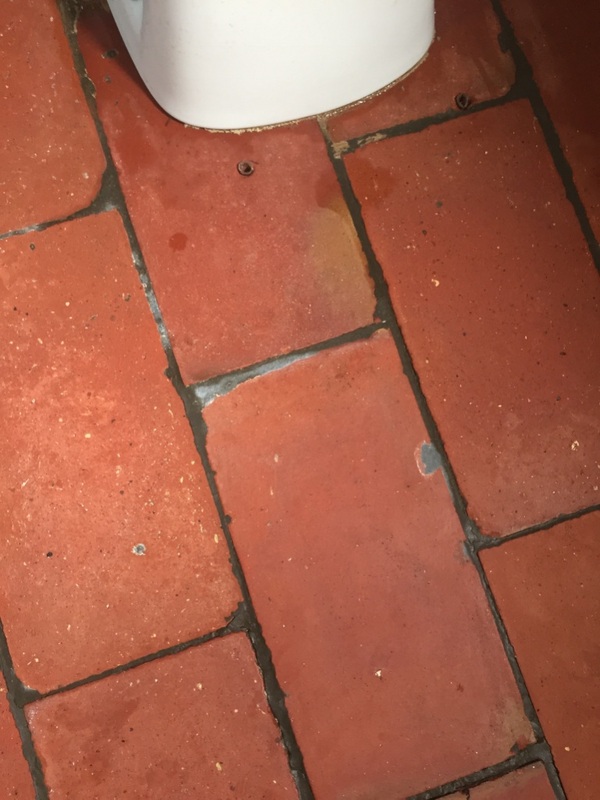 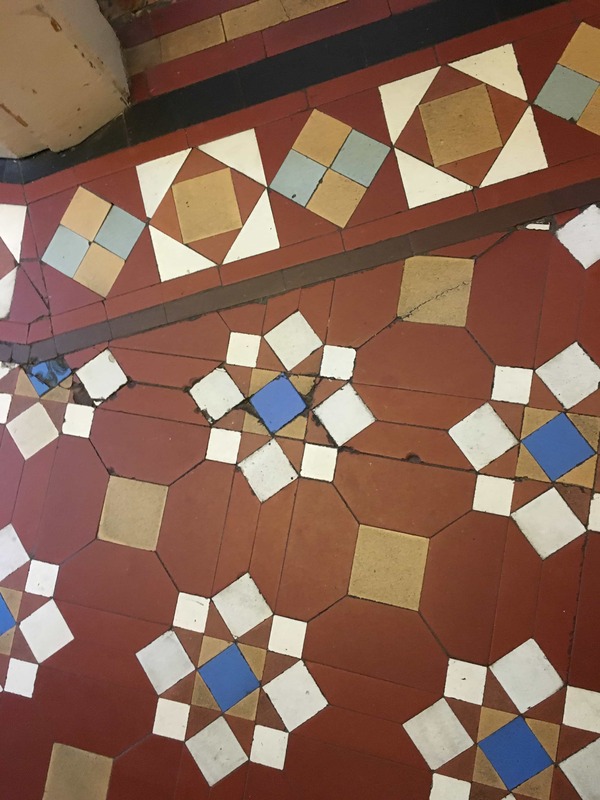 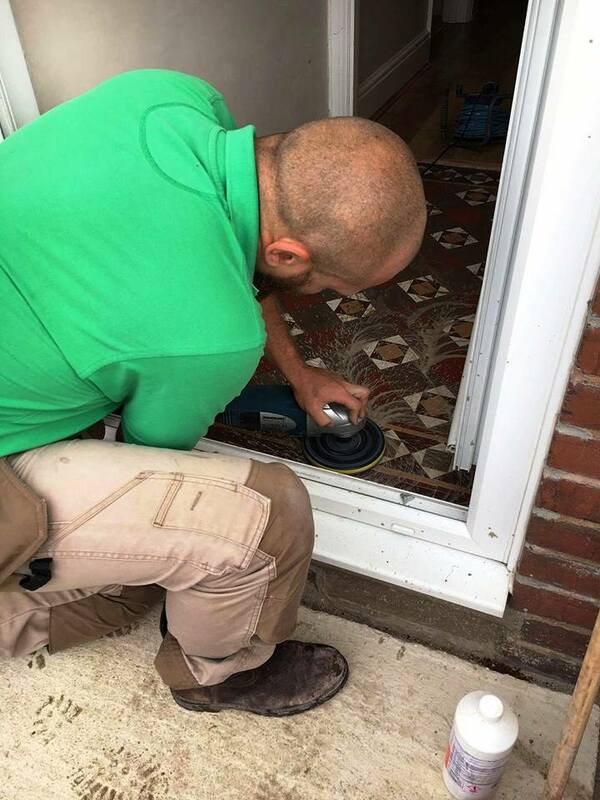 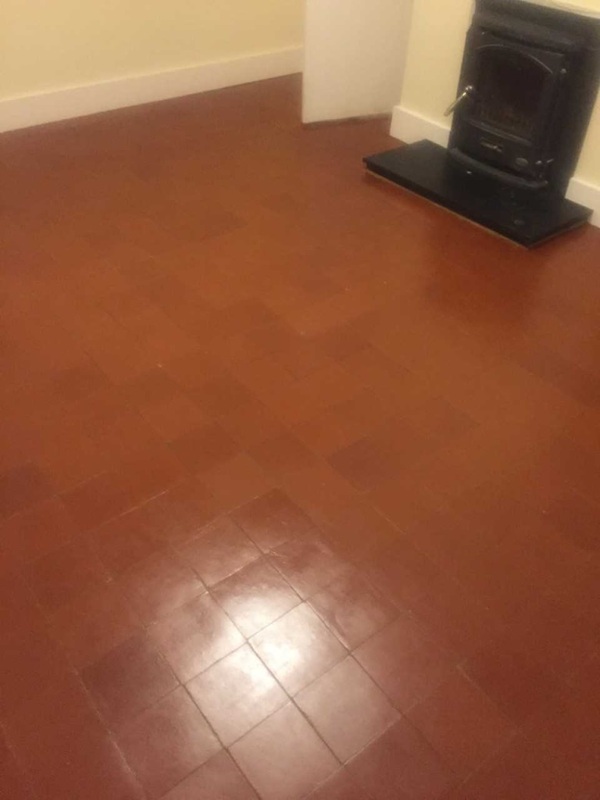 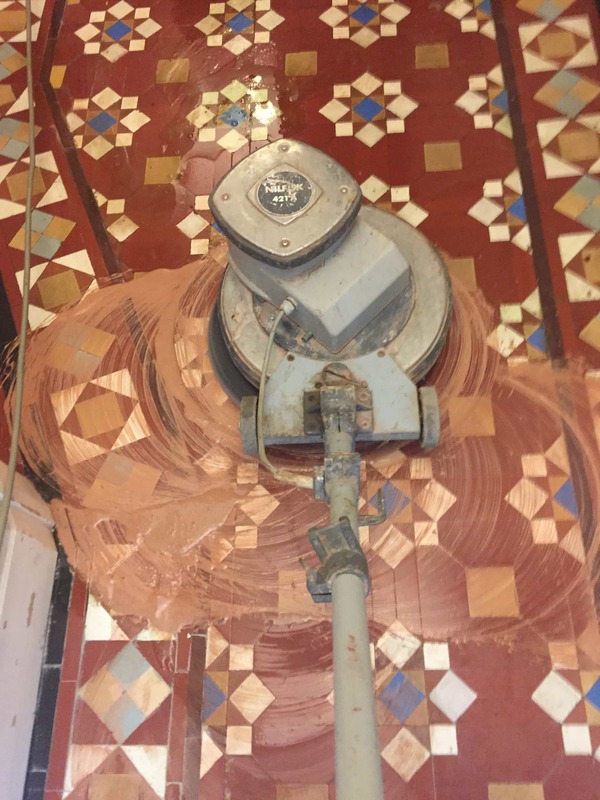 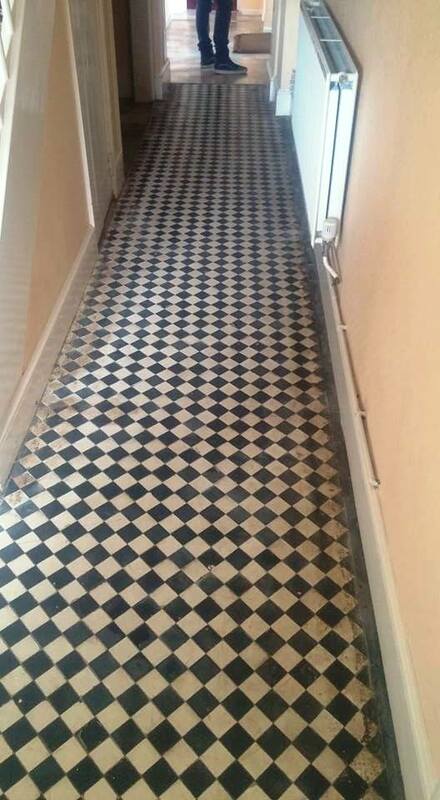 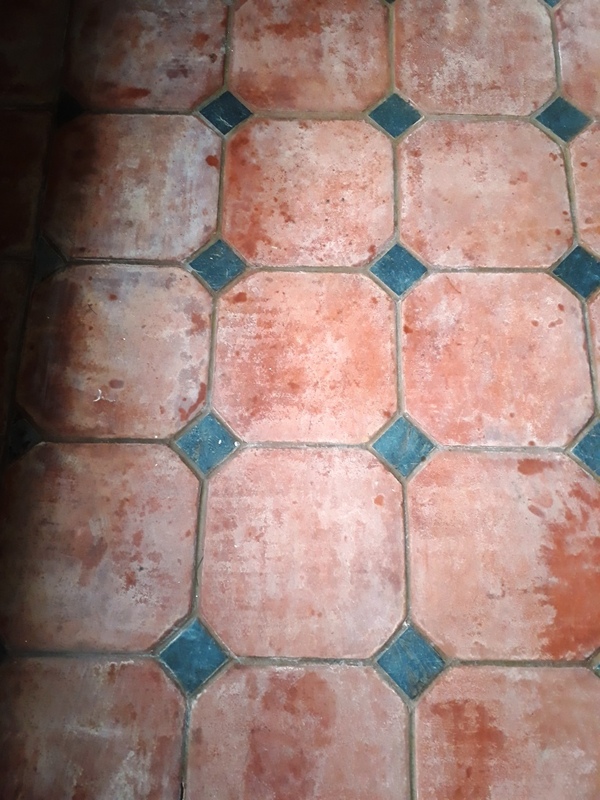 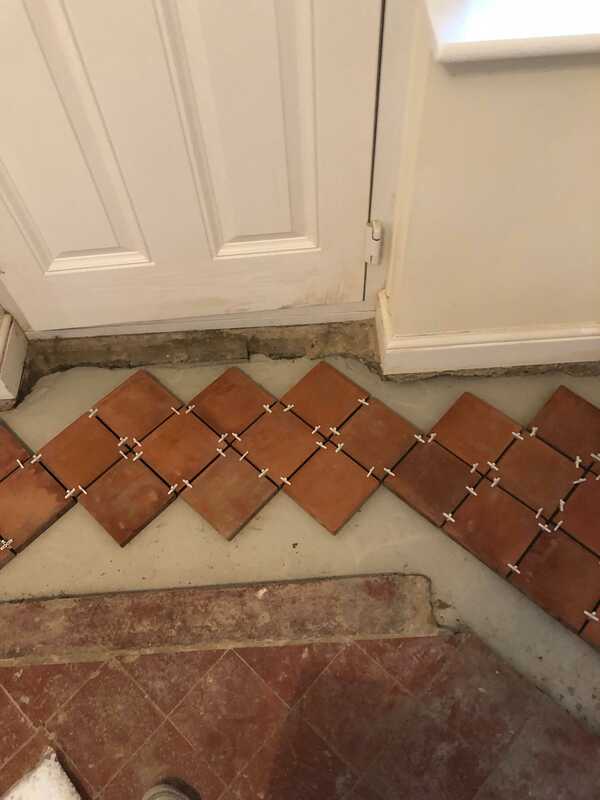 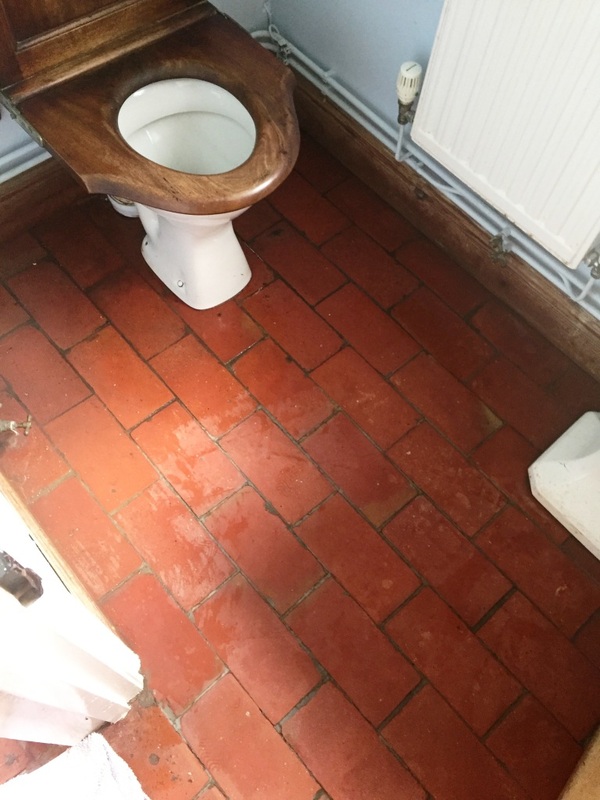 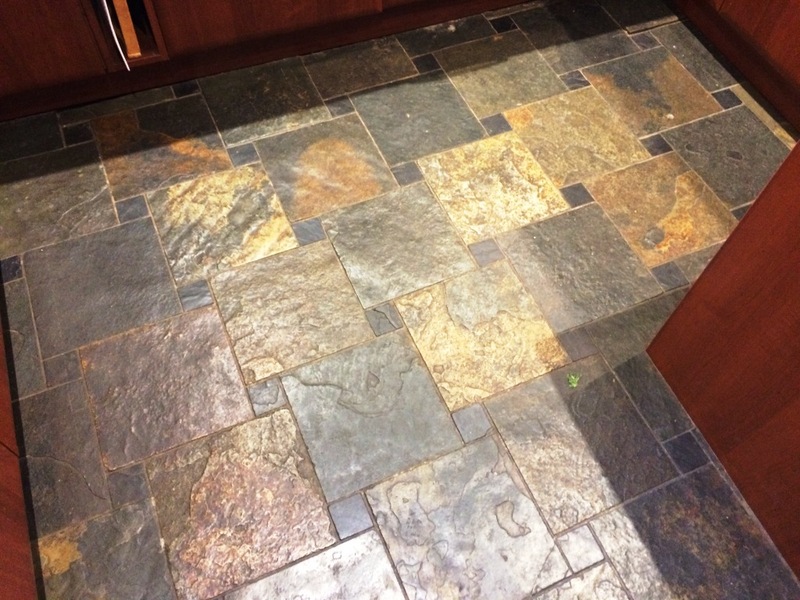 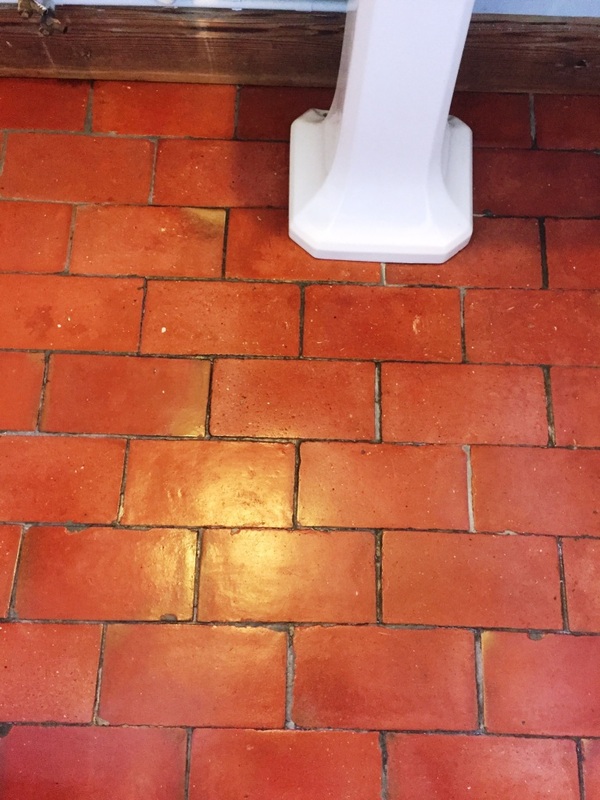 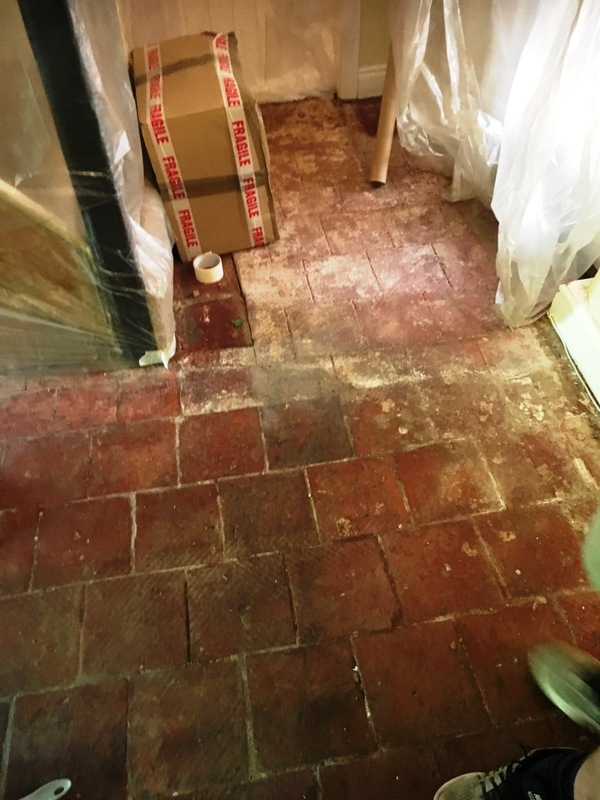 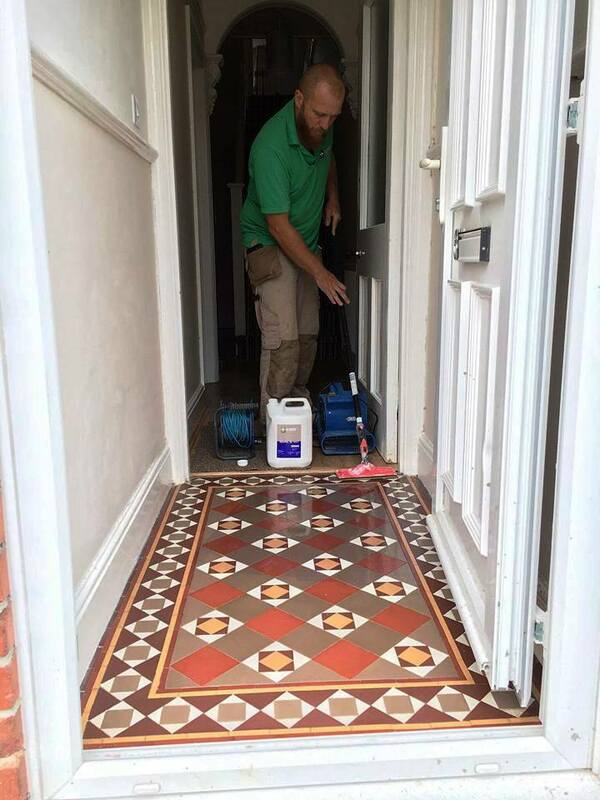 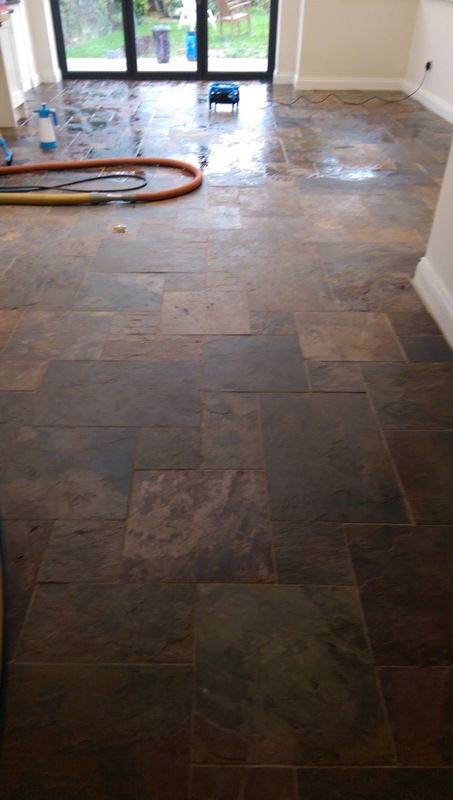 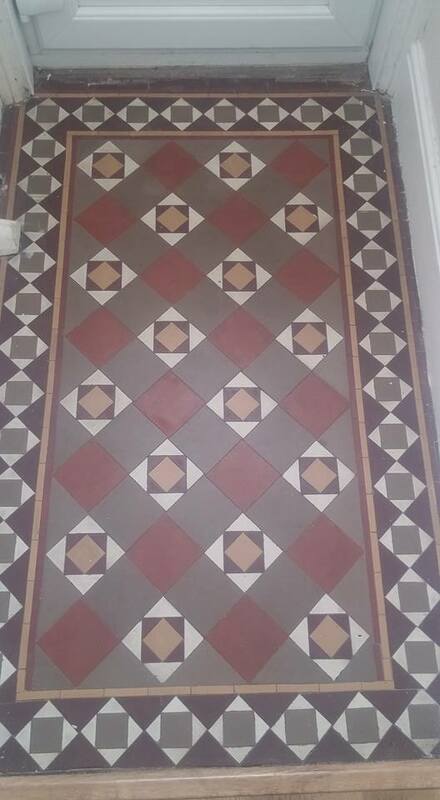 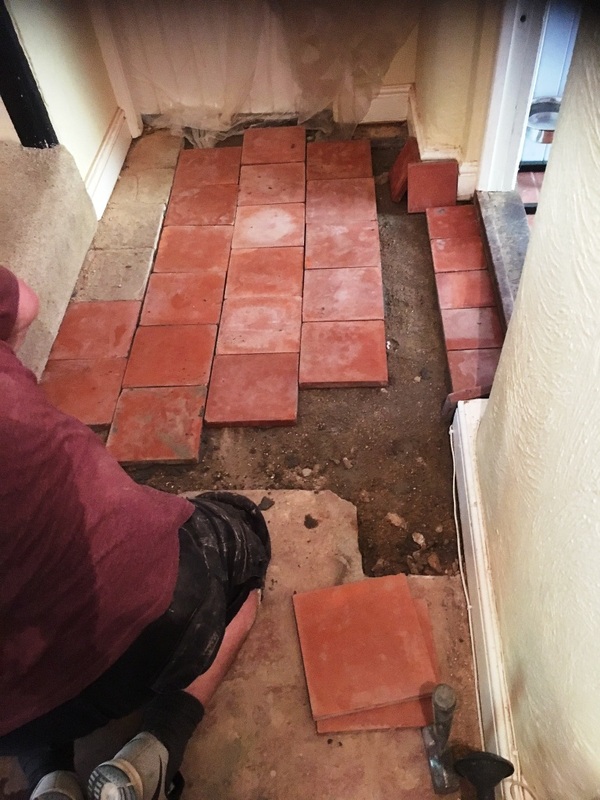 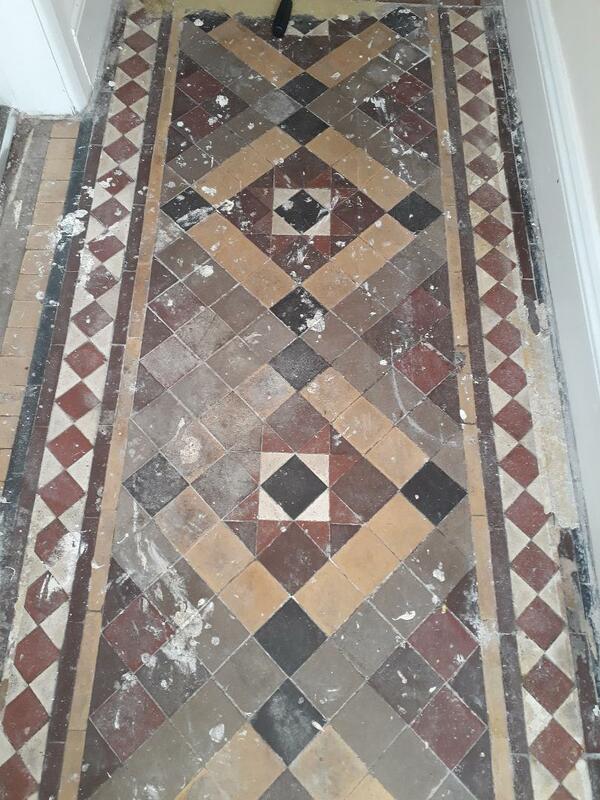 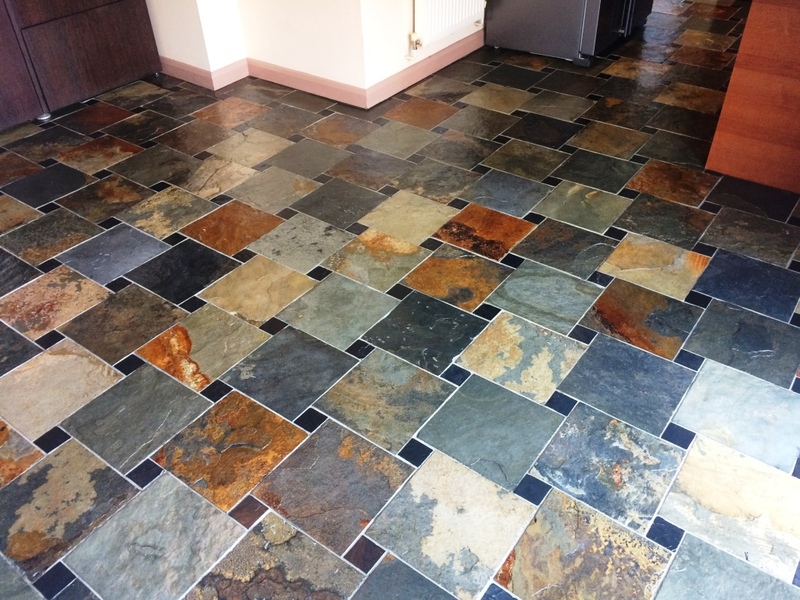 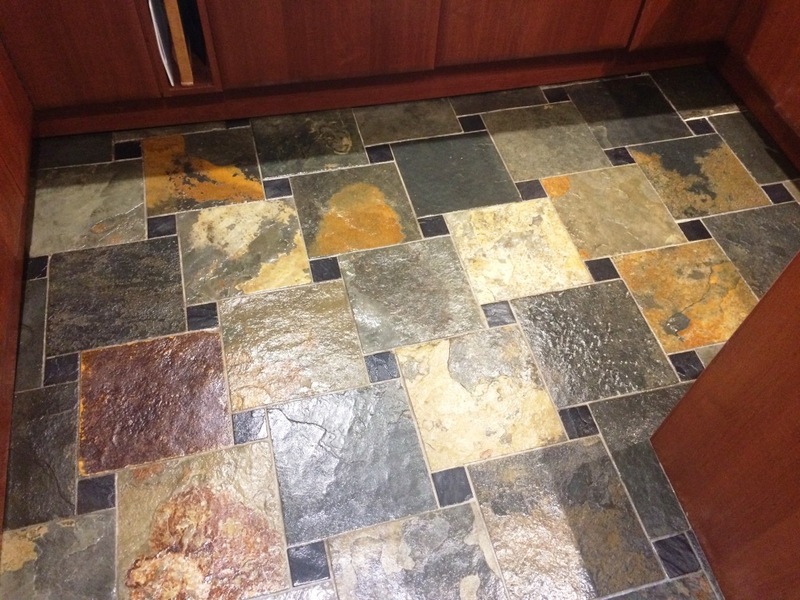 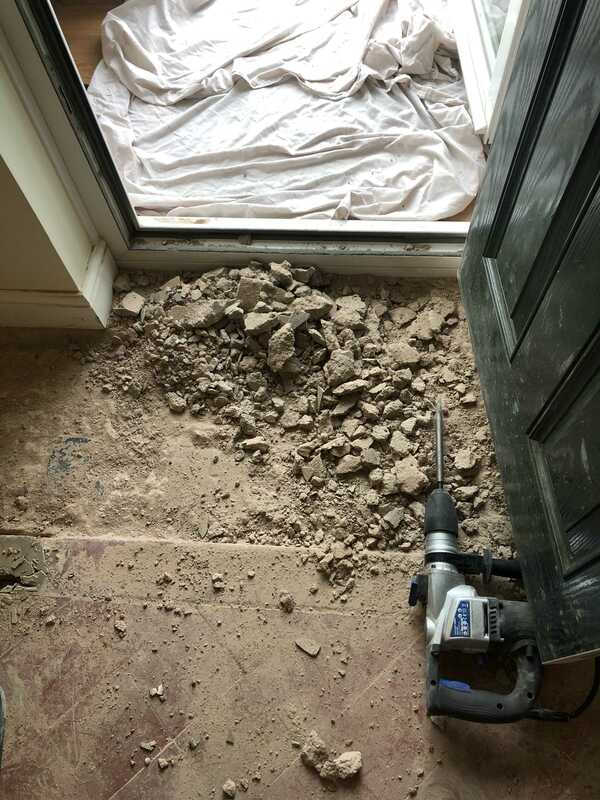 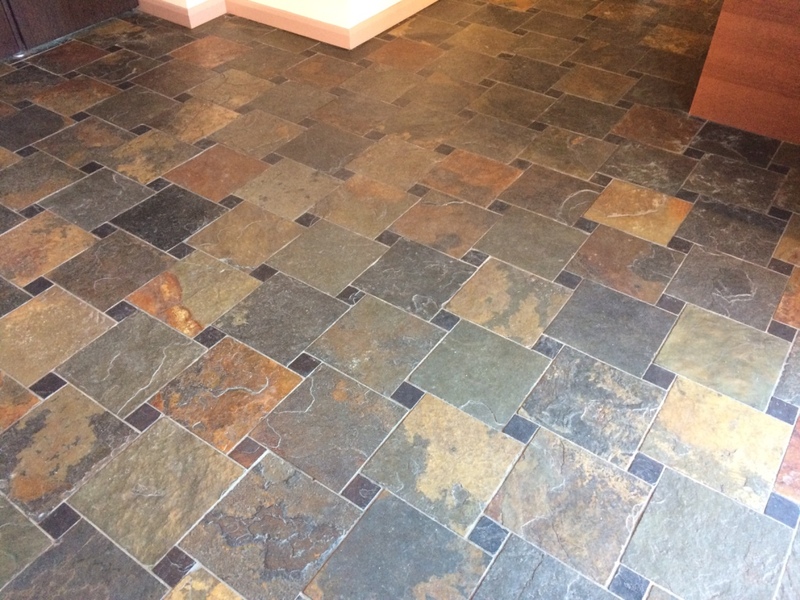 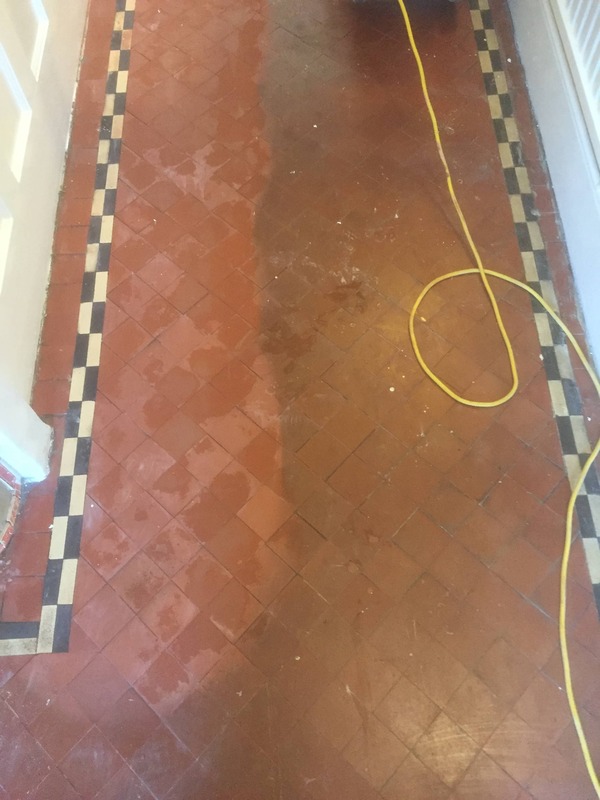 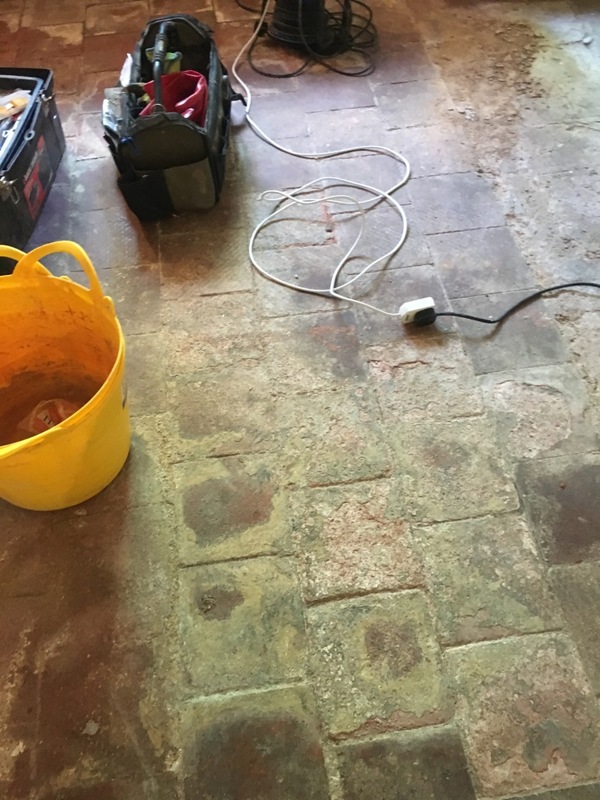 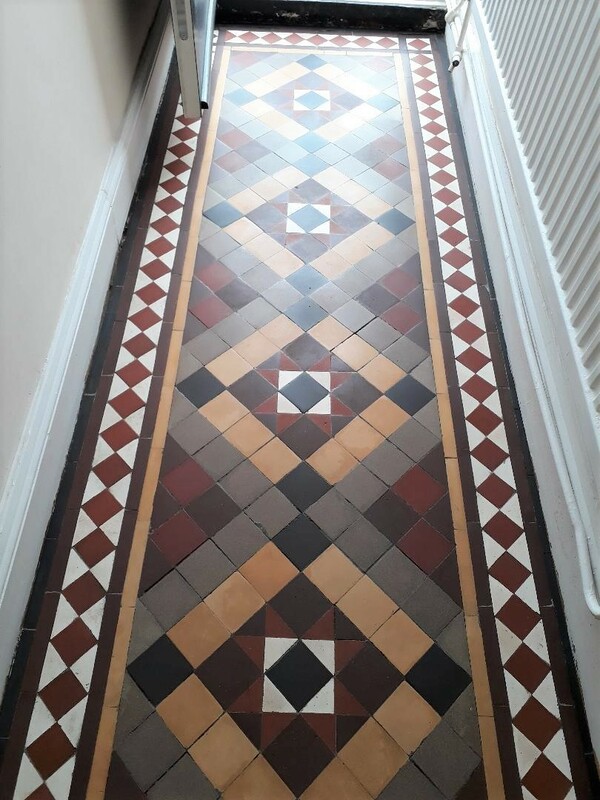 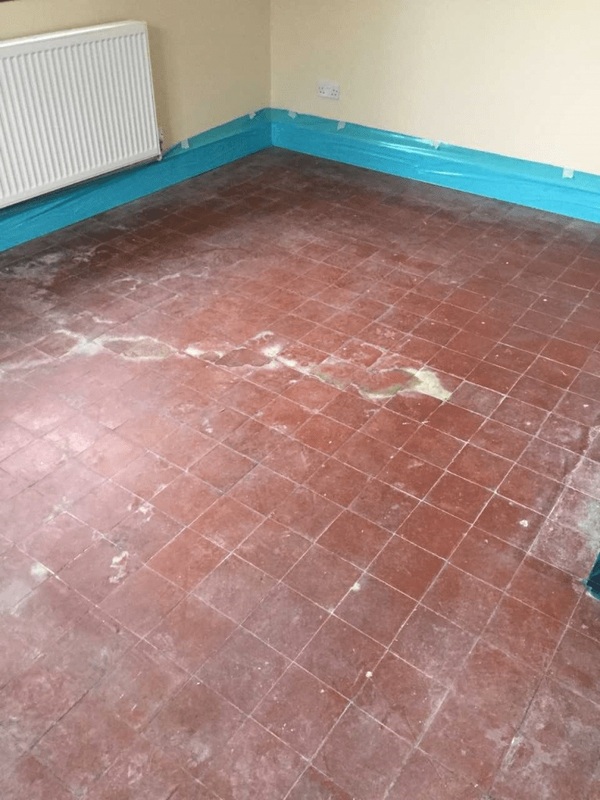 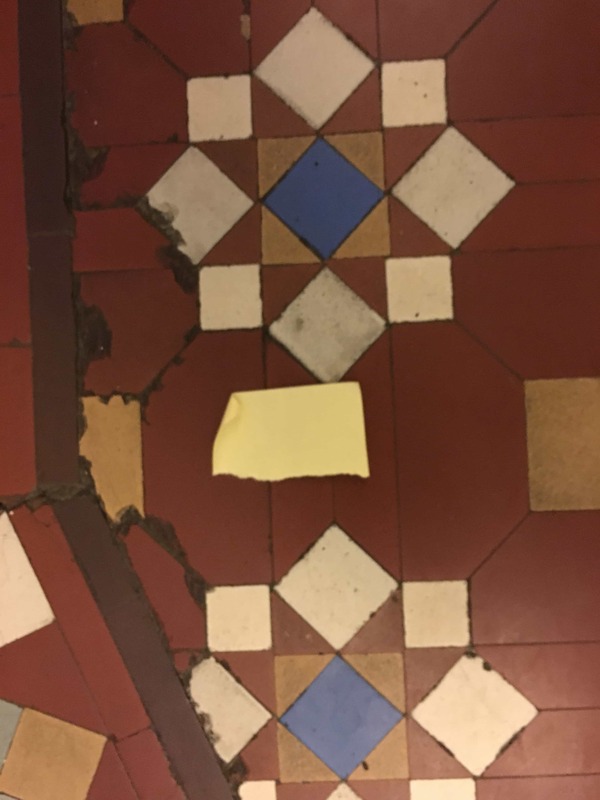 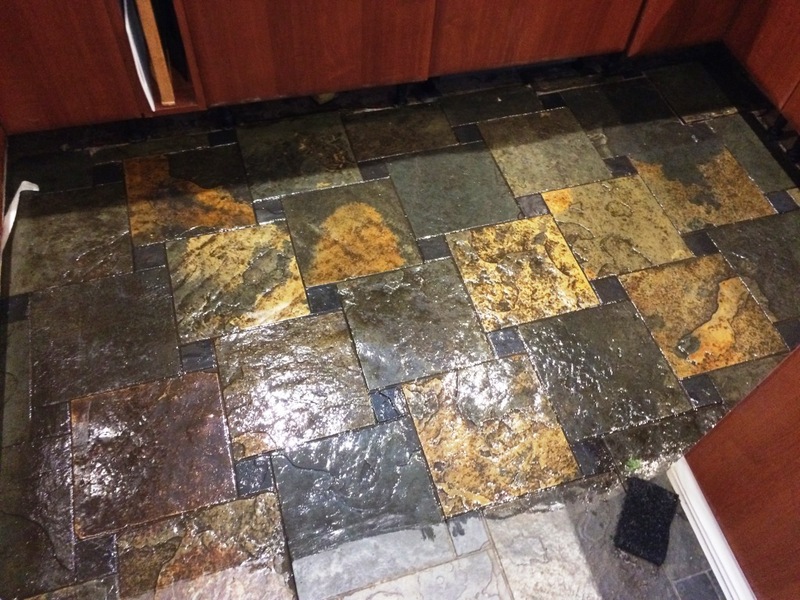 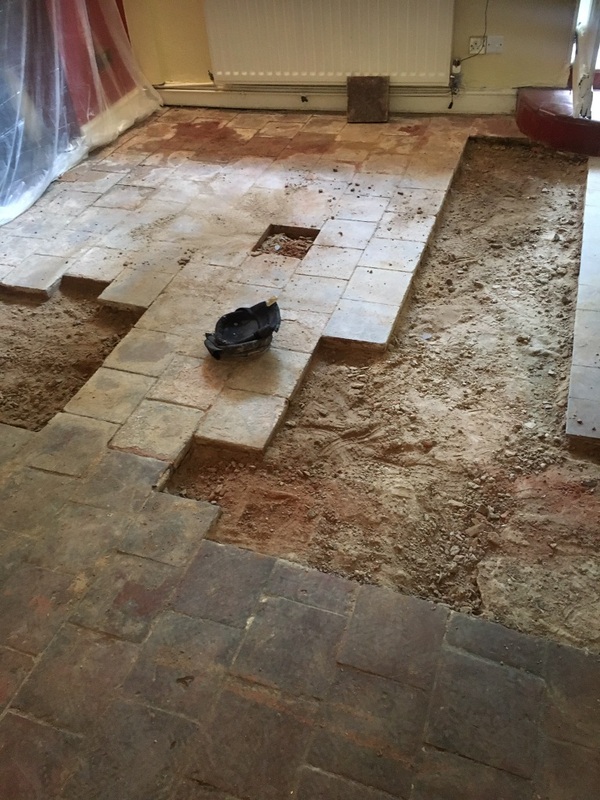 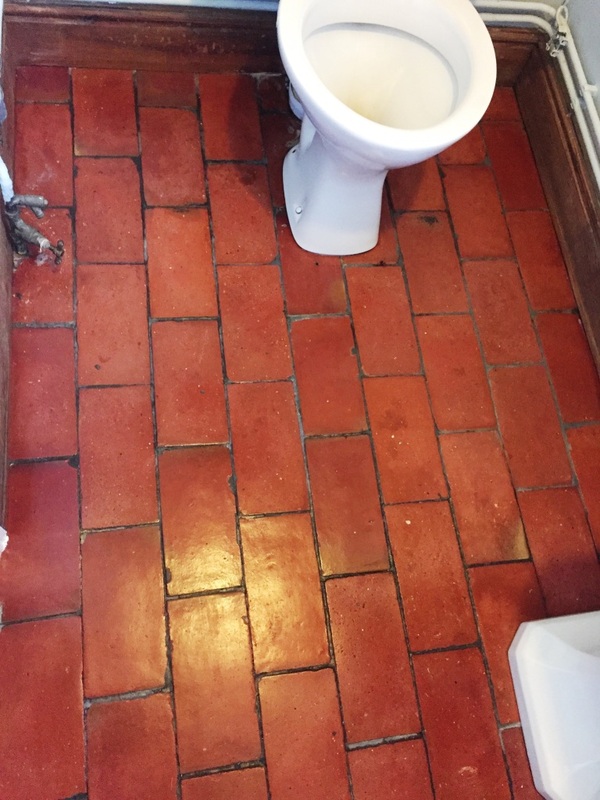 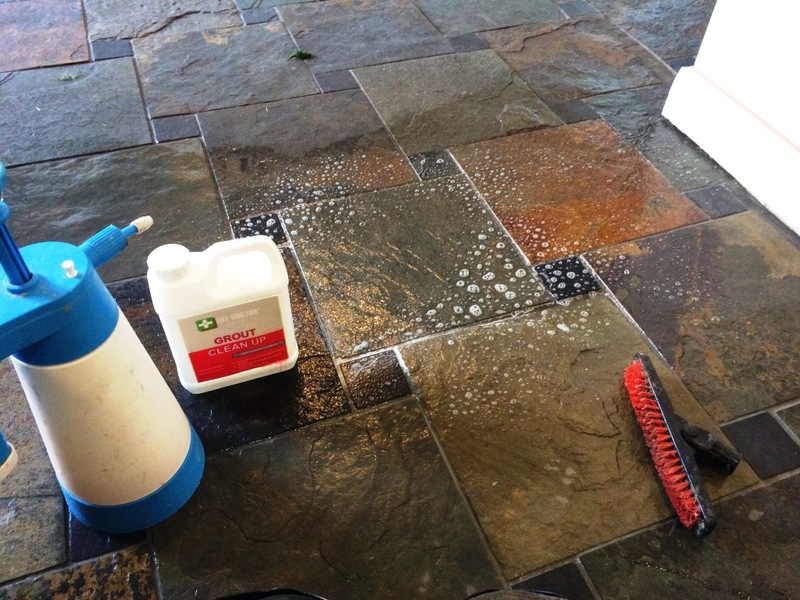 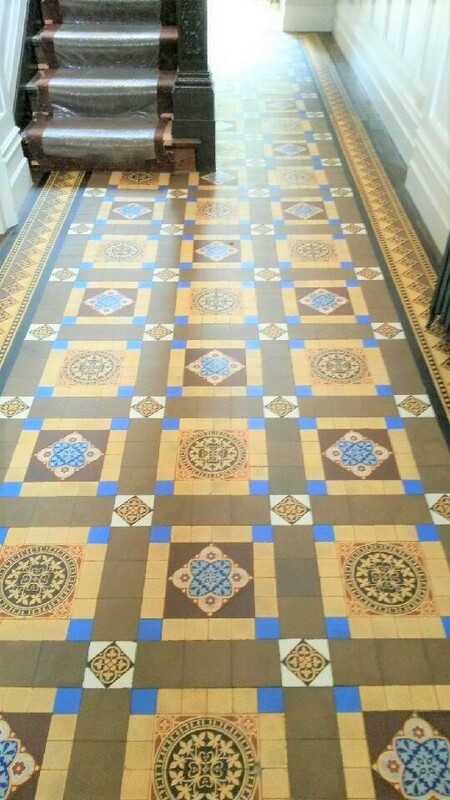 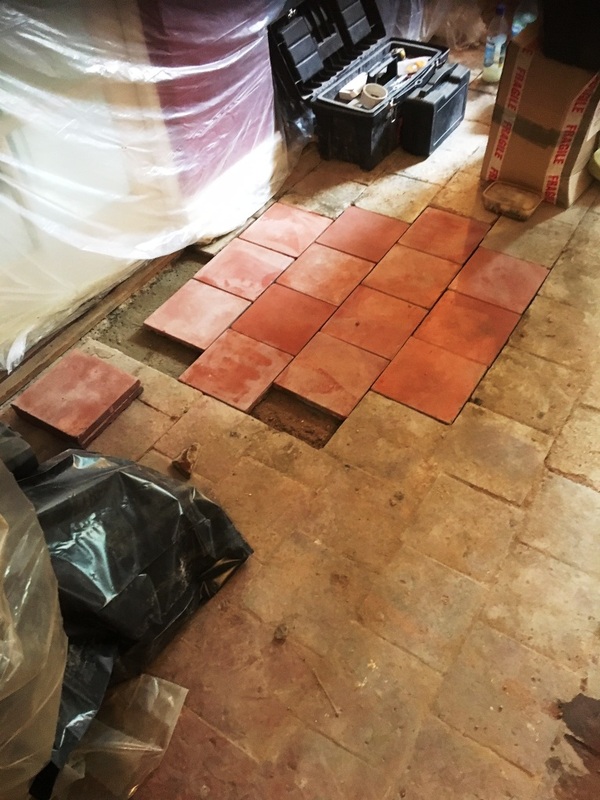 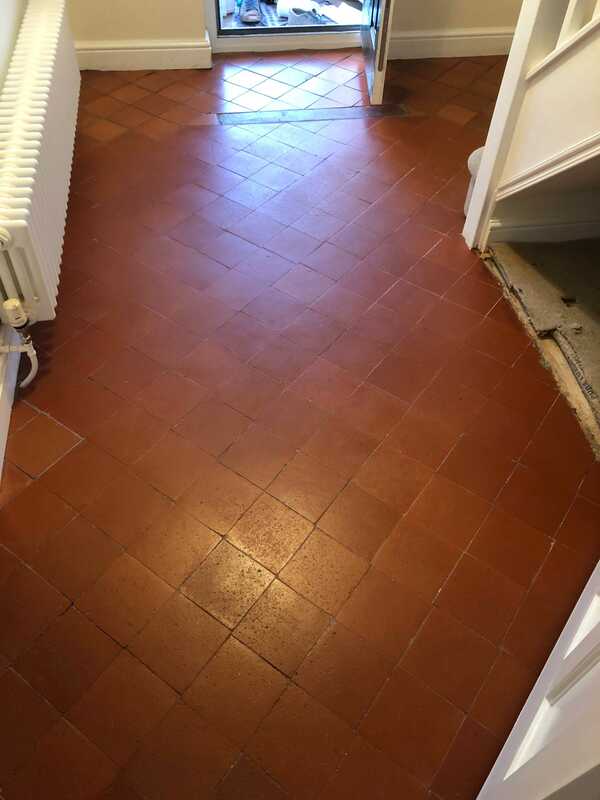 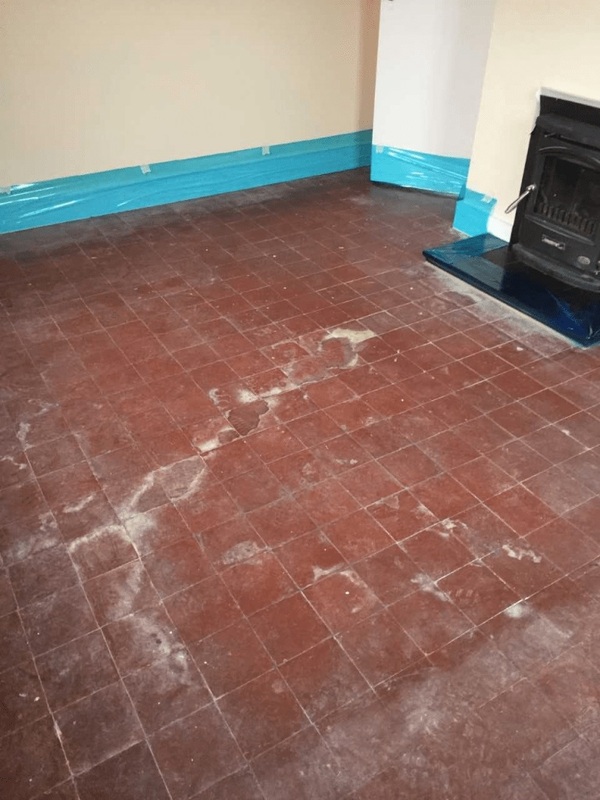 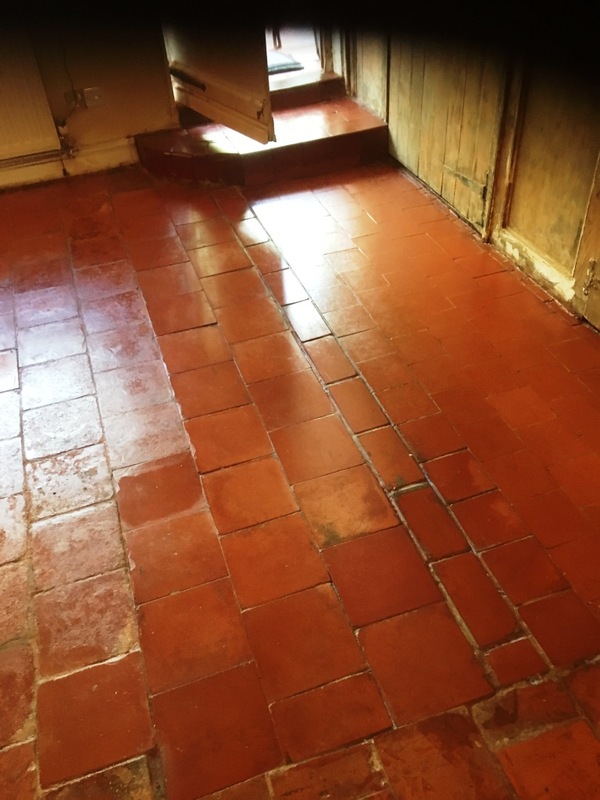 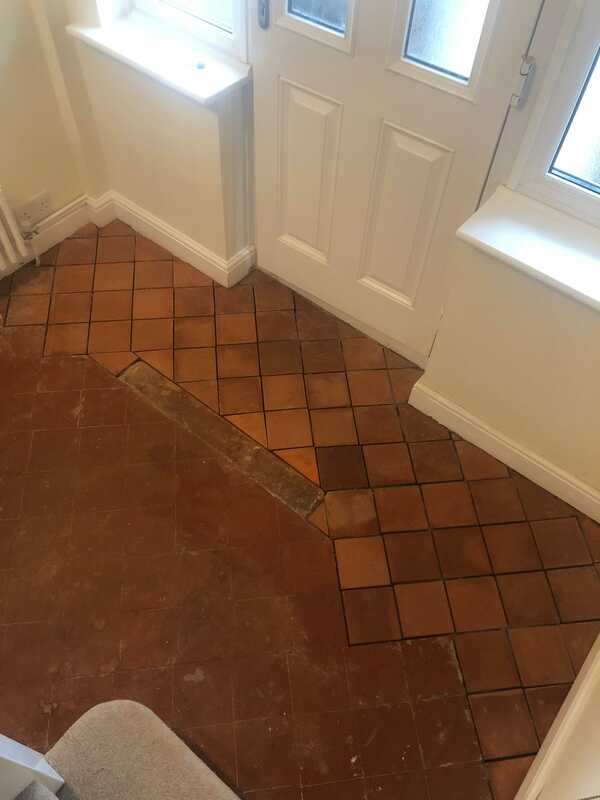 Once I was satisfied that the tiles were as good as they could be I rinsed the floor to remove the now soiled alkaline cleaner before giving the floor an acid wash with Acid Gel to neutralise with any inherent salts in the tiles.